This beautiful newly constructed home is a must see! The highly upgraded home has 4 Beds, Loft, 3 Bath with 2 car-garage. It also features an extended Ranch Room and Casita in the back of the home to use as your imagination room. The home has White Cabinets throughout, gourmet kitchen with Stainless Steel Appliances, large pantry with upgraded counter-tops and back splash. The home is freshly painted with beautiful shutters and upgraded flooring through-out. 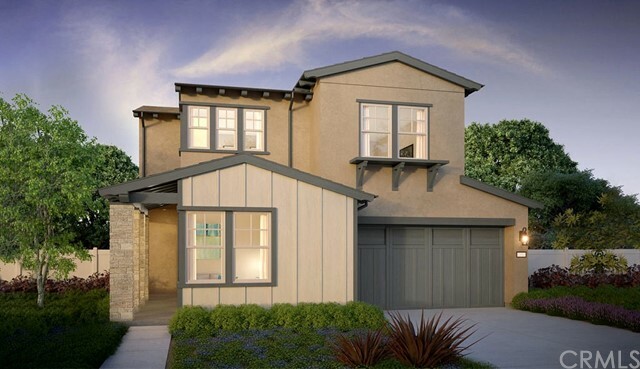 This home reflects today’s trends in home design and outside this two-story Adobe Ranch home adds an element of authentic California grace with it's open floor plan of 2,895 - square foot. Throw open the sliding glass doors and life flows seamlessly between indoors and out. On the first level, a full bedroom and bath are ready for overnight guests or a teen on the edge of independence. Venture upstairs and relax in a loft designed as a private family retreat or discover a zone of tranquility in the spacious master suite with its walk-in closet and spa-like bath. This home is located in the highly desirable Viridian at Esencia Village of Rancho Mission Viejo and won't last long.